There's been a long trail of criticism of Sarfraz Ahmed's captaincy. Admittedly, some of it is justified and some not as much. 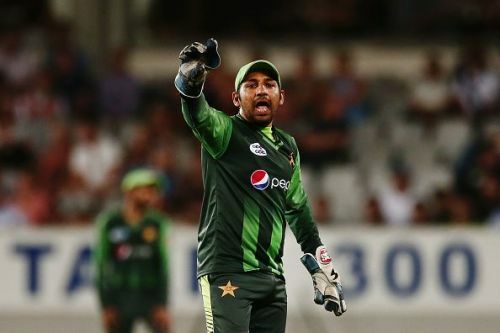 There is no question that Sarfraz has matured as captain and it can be argued that some of the positive results that Pakistan has achieved can at least be partly attributed to his leadership. Without a doubt, Pakistan's 1-1 draw in the Test series in England and their Champions Trophy victory are two of their biggest accomplishments under Sarfraz. Sarfraz's entire tenure as captain has been under Mickey Arthur. It's fair to say, for better or for worse, that Arthur has been largely responsible for molding him into the leader that he is today. One of the criticisms of Arthur's style of coaching has been his controlling management style. In fact, he has been accused of spoon-feeding Sarfraz on how to captain on the field. His intentions may have been noble but the results have been uninspiring. The big question is whether Arthur's grooming has helped or hurt Sarfraz. The simple answer is that it's likely the latter. The World Cup is just a few months away and Pakistan are at a crossroads. They have to decide now whether they intend to go into the World Cup under Sarfraz's leadership or under someone else as captain. It's been apparent for some time now that the burden of captaincy is taking its toll on Sarfraz's mental faculties. His performance with the bat has appreciably declined, his volatile temperament has been more on display when he's captaining on the field, and his confidence level has dropped to new lows. In fact, in a moment of unguarded candor, he indicated in a press conference during the Asia Cup that he was having difficulty sleeping at night from the pressures of captaincy. There have been murmurs among the press and fans about whether Sarfraz would have even retained his spot in the playing XI had he not been the captain.